How much is Damien Rice Worth? Damien Rice Net Worth: Damien Rice is an Irish singer/songwriter who has a net worth of $16 million dollars. 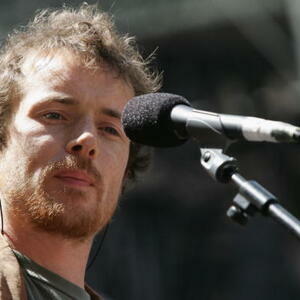 Born December 7, 1973 in Kildare, Ireland, Damien Rice also plays guitar, piano, clarinet and percussion. Rice began his musical career as a member of the '90s Irish rock group Juniper (within which he went by the stage name Dodi Ma). After exiting the band and working as a farmer in Tuscany, Italy and working as a street performer throughout Europe, Rice returned to Ireland in 2001 with the focus of starting his solo career. In 2002, his debut album 'O' reached No. 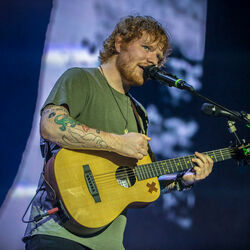 9 on the UK albums chart, generated three top-30 singles in the UK and won the Shortlist music prize (an annual music award for the best album released in the U.S. that sells fewer than 500,000 copies at the time of nomination). In 2006, Rice released his second album '9' and songs from this album have since appeared in television episodes including the likes of American Idol, True Blood, Bones, Grey's Anatomy, House, One tree Hill and CSI: Crime Scene Investigation. His songs have also been featured in such films as Goldfish Memory, Reservation Road, Higher Ground, Closer, I am David, Stay, In Good Company, The Girl in the Café, Shrek the Third and Dear Frankie. Rice has collaborated with many other notable artists including Tori Amos (2005), David Gray (2007), Ray Lamontagne (2007), French actress Mélanie Laurent (2011) and others. His songs have also been used in figure skating competitions. Rice released his third album My Favourite Faded Fantasy in 2014 which reached #1 in Ireland and #15 in the US.